PRCs should not be confused with the terrorist organization Popular Resistance Committees. Has received funding from France (French Consulate in Jerusalem), Germany (BMZ), Spain (AECID), the United Nations Development Program, as well as from various European Union funding mechanisms, including the European Neighbourhood and Partnership Instrument (ENPI), European Instrument for Democracy and Human Rights (EIDHR), and the Partnership for Peace Programme (PfP). In 2015, PSCC and Comet-ME received €75,000 from the French Consulate in Jerusalem, via the Social Fund for Development (FSD), for a project in Hebron assisting vulnerable families with basic infrastructure installation. Following NGO Monitor publications and communication with the EU regarding violence at PSCC demonstrations (see below), the subsequent PfP Call for Proposals of 2014 warned that “All actions should assess whether they may directly or indirectly lead to violence, even if they have been established for non-violent purposes” (emphasis added). Since 2013, PSCC, alongside the Center for Freedom and Justice, Coalition of Women for Peace (CWP), and Youth Against Settlements (YAS), have participated in a project run by the German NGO KURVE Wustrow in the West Bank titled “Strengthening Nonviolent Initiatives,” as part of a German federal government program, Civil Peace Service (CPS), funded by the Federal Ministry of Economic of Economic Cooperation and Development (BMZ). Despite its proclaimed nonviolent agenda, NGO Monitor research has uncovered evidence of violent PSCC activities. In February 2017, the Spanish NGO Novact invited PSCC general director Munther Amira and board member Manal Tamimi to participate in a conference titled “Towards a new paradigm: Preventing Violent Extremism,” funded by the Spanish regional government of Catalonia as well as the EU. While PSCC has been granted money in order to strengthen “the non-violent alternative,” PSCC has organized protests that have turned violent. Footage of PSCC protests in Hebron, Kfer Qaddum, Nilin, Nabi Saleh, and Beituniya shows protestors hurling rocks, throwing sharp objects, trying to destroy the security barrier, and arson. In response to a violent demonstration organized by Munther Amira in Bethlehem in December 2016, he told Israeli media outlet Ynet: “we are here to protest and say that the occupation and terror are two sides of the same coin. 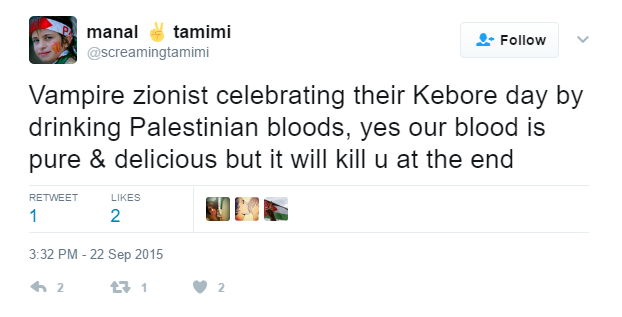 We want to tell the world that Palestinians are facing organized terror. We will continue to cope in order to fight against the Nazi occupation” (NGO Monitor translation from the original Hebrew). 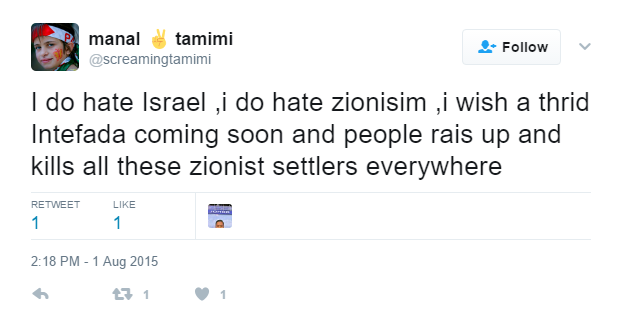 In November 2015, Tamimi tweeted a highly disturbing cartoon, utilizing classical antsemitic imagery. PSCC regularly promotes Palestinian BDS campaigns and activities on its website and is a member of the BDS National Committee. European Neighbourhood and Partnership Instrument (ENPI) 24,169 2013 Solidarity reloaded- Strengthening Cooperation Among Euro-Med Youth. 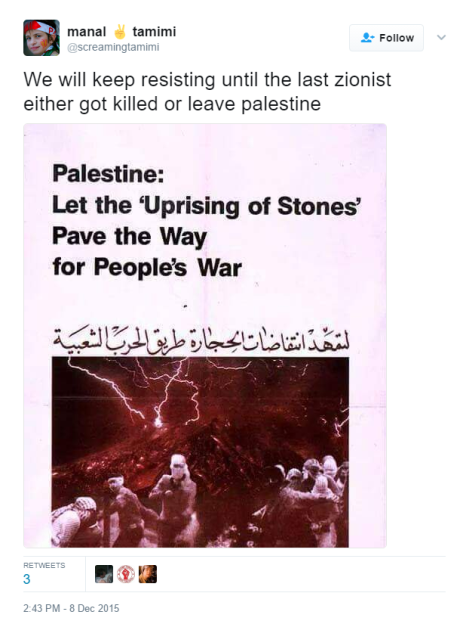 Partners with Open Shuhada Street (OSS), an organization that similarly promotes BDS campaigns against Israel, as well as Coalition of Women for Peace, Youth Against Settlements, KURVE Wustrow, and NOVA, a radical Spanish political NGO .